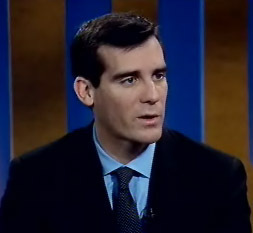 » Is Eric Garcetti Trying To Rewrite History? Is Eric Garcetti Trying To Rewrite History? City Council President Eric Garcetti made the following statements today in an appearance on “Air Talk” on KPCC. That the 2006 lawsuit settlement allowing the conversion of almost 900 conventional billboards to electronic was the result of the city losing its case in court. That the discussions leading to the lawsuit settlement were mandated by the court. That he has never “willingly” accepted money from billboard companies. The lawsuit by four billboard companies challenged the city’s right to impose a program to inventory and inspect all billboards in the city. This right was affirmed by the 9th Circuit Court of Appeals two years prior to the lawsuit settlement. The city was sued in both state and federal courts. None of the records in those courts refer to any “mandated” settlement discussions. From his initial campaign for city council in 2001, through his re-election to a second term in 2005, Garcetti received eight contributions from outdoor advertising companies, according to reports filed with the city Ethics Commission. These contributors included Clear Channel, Regency Outdoor, and Vista Media, all plaintiffs in the lawsuits. In addition, a major Clear Channel lobbyist raised funds for Garcetti’s campaign, as well as contributing directly as an individual. To his credit, Garcetti said the lawsuit settlement by the city council was “a bad decision.” He is clearly feeling heat from his constituents, but one might hope a politician in this situation would own up to his mistake, rather than dissemble. Or perhaps he’s not dissembling at all, but just repeating what the city council was told by City Attorney Rocky Delgadillo, who negotiated the deal that almost everyone, with the exception of the billboard companies themselves, now views as a disaster for the city. Listen to the “Air Talk” segment here. Read the decision in favor the the city: Clear Channel V. Los Angeles-9th Circuit Ruling.